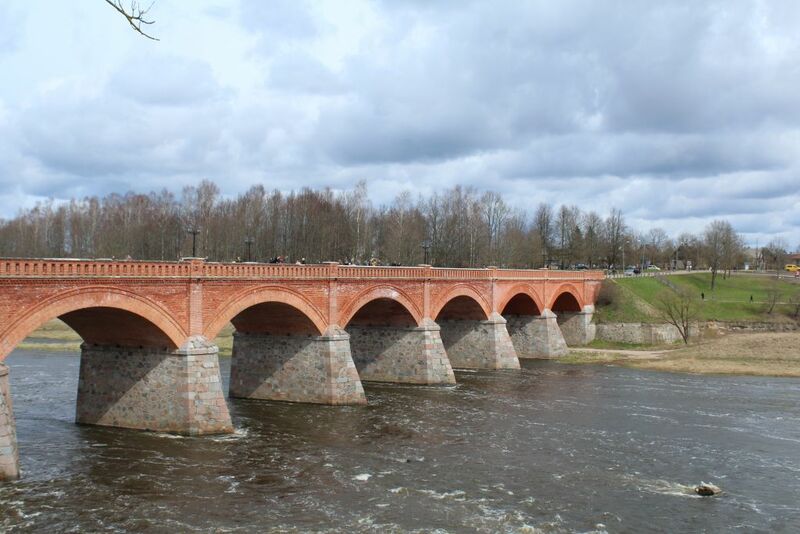 Brick bridge in Kuldīga over the river of Venta according to some sources is the longest of its kind bridge in Europe. I believe nobody actually pays attention to the lengths of this bridge instead I believe the reason everyone enjoys it - it just looks great. Since it looks great I spent some time here to improve my DSLR photography, I actually made here some 180 photos, but just 5 have made it to you. Turns out river Venta is a kind of popular place for local fisherman, I met many of them today. This bridge is opened both for motorized vehicles and pedestrians. I was not lazy and made a small walk to make another shot from another side of this bridge. 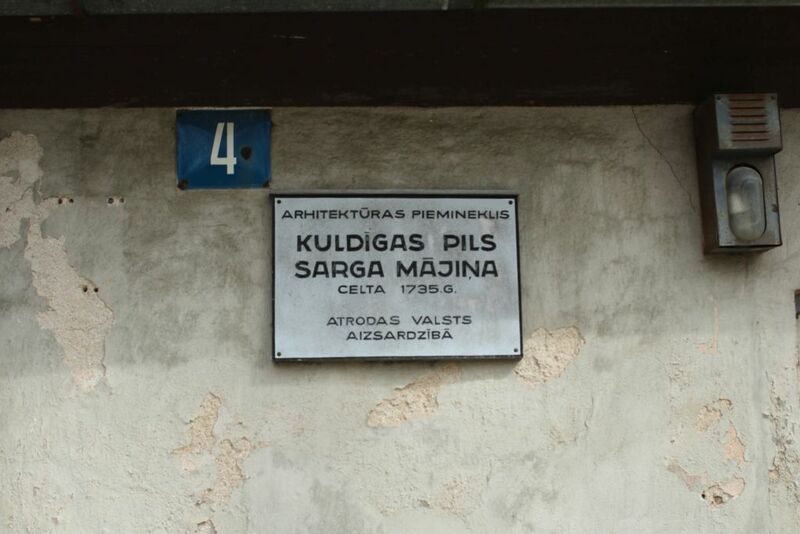 According to written on this table, this house is an Architectural monument, built in 1735 and is protected by State. This plate might be actually from 1930-ties, but I might be wrong. The old brick bridge across the Venta river was built in 1874 and is the longest bridge of this kind of road bridge in Europe – 164 m.
These were restored in 1926, but concrete was used instead of bricks. 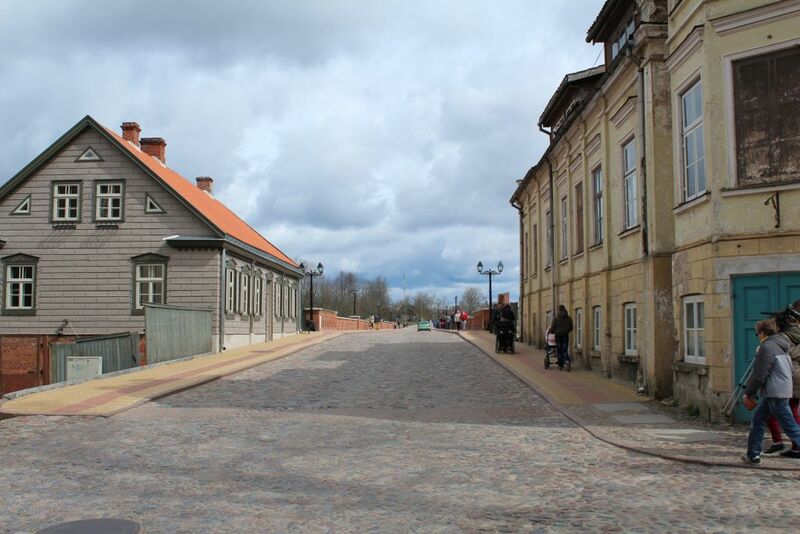 In 1958 the cobbled road was covered with tarmac, but the old-style lamp-posts were restored in 2005. 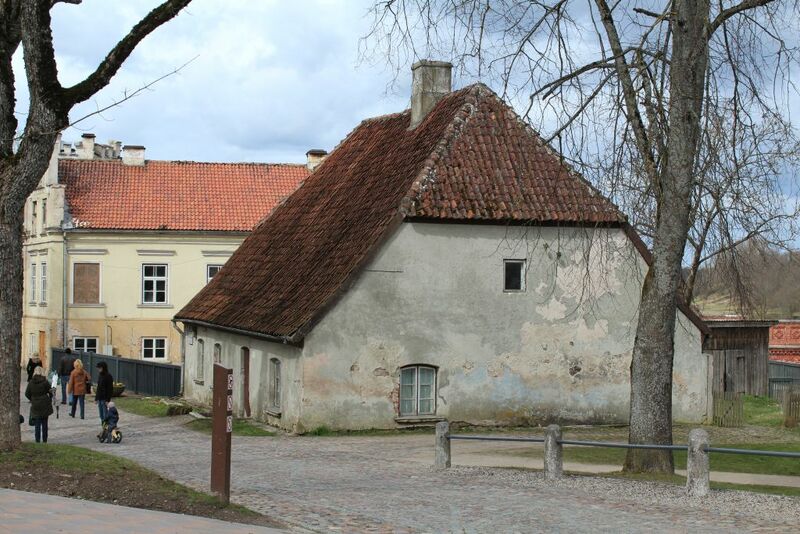 The brick bridge across the Venta has been serving the people of Kuldīga since 1874. It was according to 19th century standards. 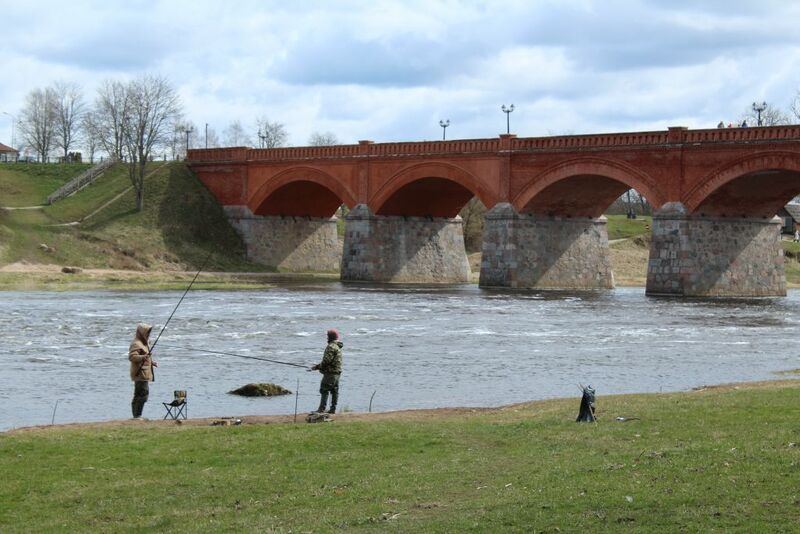 The 164 metre long arched bridge with seven spans of brick arches with boulder abutments was not only the largest and most ornate in the territory of Latvia, but also one of the most modern in Europe. The bridge was lit by lamps on 6 ornate cast iron lampposts with fish-shaped bases. The width of the bridge was a sure sign of achievements in bridge construction since it was wide enough to allow two carriages going in the opposite directions to pass each other.